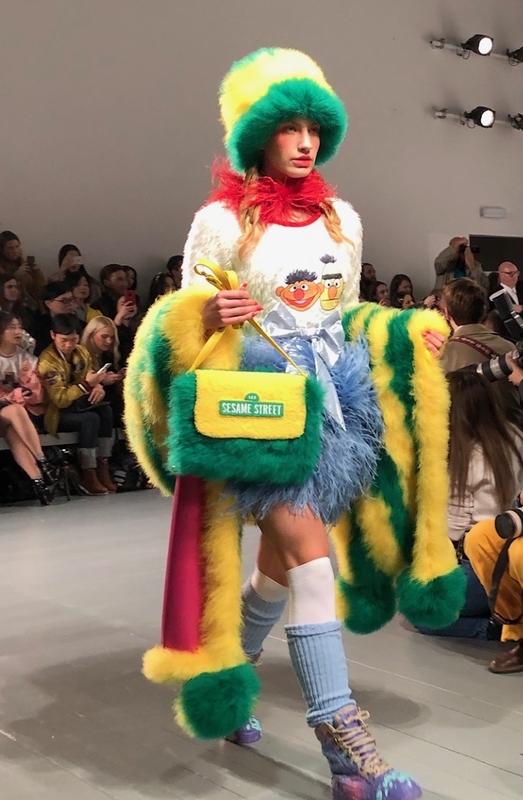 JimmyPaul's collection was inspired by the colourful residents of Sesame Street including Elmo, Cookie Monster and Big Bird. This inspiration was realised in a Big Bird yellow feather coat as well as a red and orange feather dress covered in lots of Elmo characters. Difuzed develops lifestyle products for a wide range of gaming, entertainment, fashion, sport and consumer goods brands and will be launching a diffusion line of apparel and accessories for women following the show.